It is with great excitement that we can announce one of our 2016 graduates, Bree Ramsay has been selected for Top Arts 2017. The highly anticipated annual exhibition held at NGV Australia – Federation Square will showcase top Unit 3/4 work from across the state. 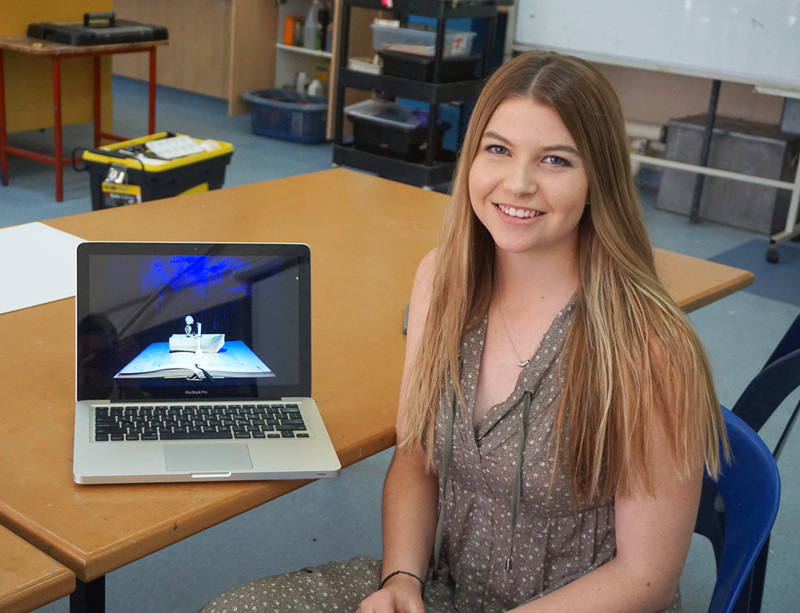 Bree’s VCE Studio Arts animation ‘Life that Glows’ was a standout piece at the end of last year and Galen’s Arts staff are very proud of her achievement. “Mrs Leith (Bree’s teacher) encouraged me to apply. I wasn’t sure if I’d get selected or not, but I sent through the application anyway.” Bree’s stop-motion animation work came to fruition over countless hours with small scenes and props created almost entirely with cut paper. Bree has also been accepted into the Bachelor of Animation course at Victorian College of the Arts and is looking forward to commencing study in Melbourne this year. She aspires to one day work for an animation studio. Top Arts 2017 will be well-worth a visit to Melbourne and officially opens on the 24th March until 16th July.